Do you have left over apple scraps from making an apple pie or apple sauce? Don't toss them! Use them to make apple cider vinegar. I will just call out the haters right now. Technically apple cider vinegar is made from apple cider (pressed apples), this is Apple Scrap Vinegar since it is made from apple scraps. However, the end product is very much the same so I will continue to call it Apple Cider Vinegar because that is the common name people use and know. Fill the jar with apple scraps. 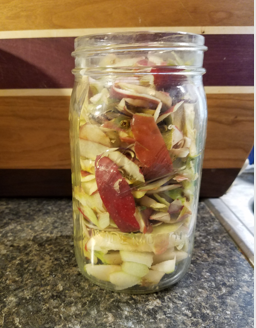 In general 1/2-3/3 of the jar should be filled with apple scraps. Step #2: Add water and sugar. Fill the jar with water (count the cups). Add 1 tbsp of sugar for each cup of water added. Step #3: Add a weight. Place a weight on top to keep the apple below the water. This will prevent them from getting moldy and spoiling the apple cider vinegar process. Add your cheese cloth to the top and secure with a rubber band or the metal band used for canning. This allows your jar to breathe as it will produce fermentation gases. The cheese cloth prevents flies or dust from getting in. Set you cider in a dark closet. Step #4: Wait 3-4 weeks. Wait 3-4 weeks while the sugar water ferments into hard apple cider. Strain off the apple scraps and return to dark place. Step #5: Strain + wait. Wait 3-4 more weeks for the alcohol to turn into vinegar. When your vinegar smells as strong as you would like, it is ready to use or place a lid on it to keep longer. Enjoy your homemade apple cider vinegar. Can I make this with other fruits? Yes you can use other fruits like pears or peaches. 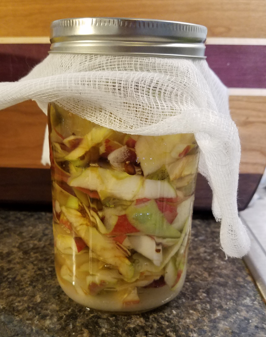 Can I add a little ACV with the mothers to my apple scraps to help it ferment faster? Do I need to store it in the fridge? If you pasteurize it, then ACV can sit out just like the kind you buy at the store. However, if you leave it too long open and it is exposed to the air it will ferment past a use-able state and develop bad molds. Cover with an air tight lid at the very least if you plan to store at room temperature. What is the white stuff at the top of my ACV? 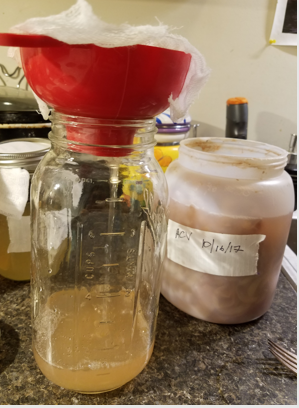 That is called the Scoby and should not be disturbed, it is the yeast and bacteria turning the sugar to alcohol to vinegar. What is the black/red/pink stuff at the top of my ACV? 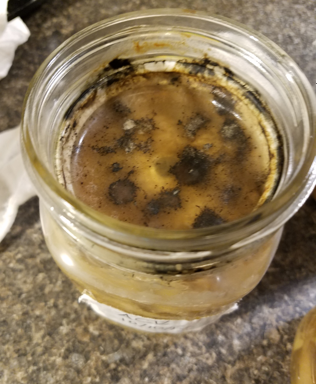 This is bad mold, and the ACV can't be saved. Can I use other sugar besides white sugar? Yes, the yeast/bacteria need sugar to convert to alcohol. White sugar works the fastest, brown sugar or honey could be used but may take longer to convert. 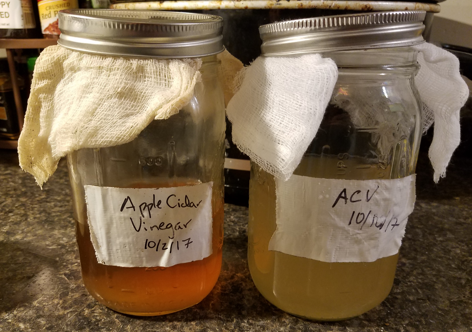 What do you use ACV for? 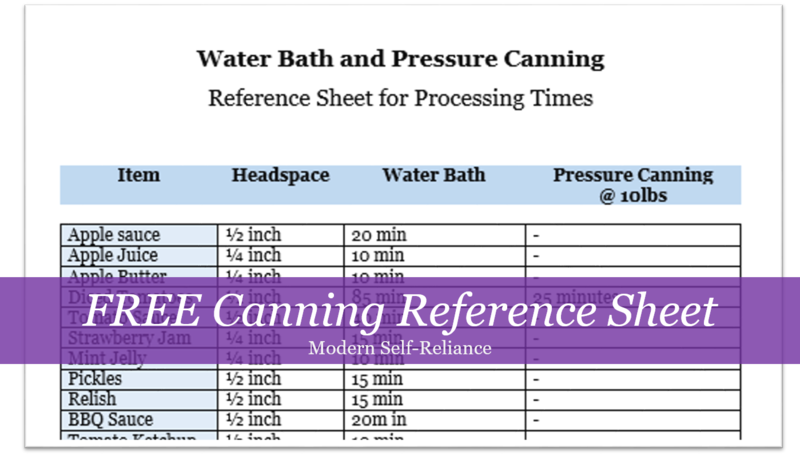 We use it for cleaning burnt pans, cleaning up spilled Lye from soap making, we use it in making broth, we use it with baking soda to clean nearly anything. One could drink it, or even wash their hair with it. What do you use apple cider vinegar for? Have you ever made it yourself? On March 2, 2017 the Burlington Public Library invited Russ Cohen to give a presentation on foraging for edible plants as part of their survival month. This free event happening right down the street was just was I was looking for. While Russ offers woodland strolls to discover plants in real life, this class was taught in the library conference room. He brought along a power point filled with photos of the plants and his collections over the years. Cohen stepped through the seasons, explained what types of plants were available and where to find them. He added colorful stories to his lecture and brought samples of his Autumn Olive Berry fruit leather to sample. He also brought along some wild nuts to try, as he weren't in the field, he did his best to bring along the plants he was talking about. He covered a range of plants local to the New England/ Massachusetts area. I left with the confidence to search out Autumn Olive berries of my own, and give wild foraging a try. Russ points out that some species, like the Autumn Olive are easy to identify in a stage different from their harvest-able stage.The Autumn Olive is actually an invasive species in Massachusetts, but was accidentally planted in highway medians throughout the state. The Autumn Olive bush blooms white flowers in May with silver almost Sage looking leaves. Then in fall around late August the bush will develop small red berries with silver spots. 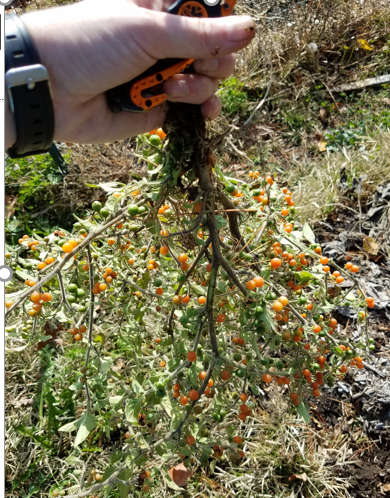 I identified a bush in a local park during May and waited for it to fruit in August. I also left with a copy of his book (paid for), Wild Plants I Have Known...And Eaten which includes a great chart with which plants are in season for foraging when. This chart points out the peak time to harvest the plants, includes recipes and how to eat the foraged plants. As there were many plants covered, I was not able to memorize/learn all the plants in the 2-hour lecture. One of his field walks may provide this hands-on learning experience. Russ also covered the legal and ethical considerations of foraging. He encouraged everyone to properly identify plants before you eat them but also know if they are a protected species, or an invasive species. Invasive species can be harvested greatly and removing them by foraging may actually help the environment. Protected or sensitive species should not be harvested, even if it is edible. Russ also talked about ethically leaving berries for the birds and leaving a good percent of the harvest-able foods for the local animals and ecosystem. I would love to take another class with Russ in the woods to learn first hand to identify the plants and recognize them into their natural habitats. I recommend taking a field walk with Russ Cohen. Have you ever taken a class with Russ Cohen? Let us know your experience in the comments section. 2017 was my second year gardening a rented plot at my local community garden. This year I had 600 sqft of freshly tilled soil to learn to grow, and make my fair share of gardening mistakes. 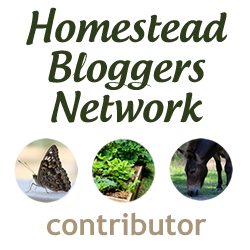 My 2016 garden was a great success and I shared my lessons learned: 10 Lessons Learned from Last Year's Garden 2016. This year was a repeat success in some areas and an utter failure in other areas. 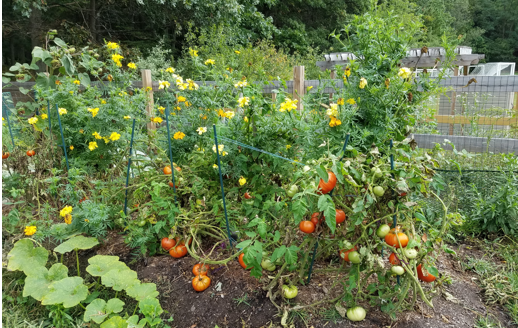 You can find my final garden yields here: Final 2017 Community Garden Yields. This is what I learned from this year's garden. #1 Plant more green beans! I planted approximately 20sqft of green beans and yielded 15 lbs. Most these got canned or frozen so we could enjoy them all year long. I loved the Provider Green Beans from High Mowing Seeds, they continually produced throughout the season. However, my family also loved my green beans and requested more. I expect to plant more green beans next year, as fresh green beans from the garden at AMAZING. In 2016 I planted peas along a short fence as an experiment but didn't really expect much. They were pretty tasty so I planted more. I also noticed that in the large Victory Garden run by volunteers to feed the Food Pantry, the peas didn't have support. Well this year I planted the peas without support and turns out, I was wrong! My peas did OK, without support but largely fell over and the under ones rotted as the upper ones crushed them. Next year peas will be planted with a fence for them to grow up. I recognize that my 400 sqft community lot will not provide all I need for my family, even my family of 2. I view my garden as an experimental place to learn to grow crops that I will want to grow abundantly in the future. I have shied away from potatoes as I hear they are a pain to dig up. BUT I need to learn to grow potatoes. So next year, in 2018 I will be growing potatoes! This was my first year growing tomatillos, first time ever seeing a tomatillo plant in real life. (Kinda sad, but that's city life for you). I expected my tomatillos to need support like tomatoes but I found this not the case. Towards the end of the season they started to droop, but they didn't need the tomato cages I expect. Also tomatillos ripen very slowly, I would find a few ready here and there each day. It was not like my tomatoes when 10lbs would ripen in a day and then a week later another batch. This made it so I had to save the tomatillos, holding them until I had enough to can or make salsa. I think the 5 plants will supply us the right amount for the amount of green salsa we like to eat. Long Island Cheese Pumpkins are an heirloom species, that grow smaller white pumpkins. I found they grew amazingly well, producing +20 feet vines and many pumpkins. So far the pumpkins have sat on my shelf and preserved well. I like the taste of them for Pumpkin Butter and hope to grow more of them soon. In comparison my Jack Straw pumpkin rotted before it ripened, which was sad. #6 Most squash rotted before ripening. I had lots of trouble this year keeping my squash from rotting. I tried putting wood chips under them so the water would drain away. I watched them closely for signs of rot. 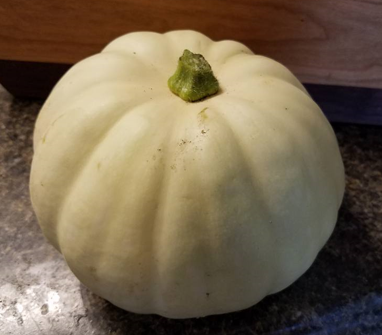 Perhaps it was just wetter than last year, but my butternuts, acorns, jack straw pumpkins and Boston Marrow squash all struggled to ripen. The gentleman in the garden plot next to mine put bricks under his pumpkins, so maybe I will try that next year. #7 It was not a great year for peppers. Last year I got amazing peppers from the handful of plants I grew. This year, I think I transplanted them too soon in the ground. However this was not my only problem, I then bought store bought peppers (Starting Seeds or Buying Transplants: Which is Better for Your Garden?) and these also didn't fare well. While they didn't die, they also had stunted growth and didn't produce. I did use fertilizer and they had mulch to prevent them from drying out. All in all, this one has me stumped. If I was in a survival mode, I would be bartering for peppers this year. #8 Otricoli Orange Berries (from Baker Creek Seeds) taste gross. I was super excited this season about trying these orange berries I found in the Baker Creek Seed catalog. I had trouble germinating them, but after sticking the seeds in the fridge for a week the seeds popped right up. They are in the nightshade family like tomatoes, potatoes and the wild poison nightshades. However they were rumored to have the consistency of a tomato but taste like citrus! That sounded amazing to me, citrus berries grown in cold Massachusetts. Well, I thought they tasted like bitter tomatoes not citrus. They were quite prolific in their nasty tasting berries. #9 Zucchini is not fail proof. Everyone always seem to be over run with zucchini as their plants tend to be quite prolific. Last year my zucchini were amazing, growing huge squashes. This year, I may have transplanted them too soon or something. They died pretty quick and those that didn't die didn't have enough energy to fight off the squash bugs. I did have some yellow squash in the late summer from a second attempt but not the overflowing bounty most gardeners complain about. I had 2 problems with year when I started seeds in pots. First, I didn't have enough pots for every seedling to have it's own pot. This was a mistake, I ended up having to separate seedlings to plant then and mangled their root systems. This had mixed results but mostly poor. Second, I bought some plants from a nursery that came in bio-degradable pots. When I was ripping out plants at the end of the year, I found the pots! The non-bio-degradable pots were binding up the roots and may have contributed to stunted growth. So plant 1 plant per pot and don't use the bio-degrable pots as they don't break down fast enough. If you haven't checked out the yield of my garden, you can find them here: Final 2017 Community Garden Yields. I feel my 2017 garden was a great success, I learned and expanded my capabilities to be self-reliant. Next year will bring more opportunities to grow plants and grow my experience. How did you garden do this year? What do you plan to change for next year?